1. American Cancer Society. Facts and Figures, 2004. 2. Robson CJ, Churchill BM, Anderson W. The results of radical nephrectomy for renal cell carcinoma. J Urol 1969; 101:297-301. Fergany AF, Hafez KS, Novick AC. Long term results of nephron sparing surgery for localized renal cell carcinoma: 10 year follow-up. J Urol 2000; 163:442-445. Uzzo RG, Novick AC. Nephron sparing surgery for renal tumors: indications, techniques and outcomes. J Urol 2001; 166:6-18. Butler BP, Novick AC, Miller DP, Campbell SA, Licht MR. Management of small unilateral renal cell carcinomas: radical versus nephron-sparing surgery. Urology 1995; 45(1):34-40; discussion 40-41. Chosy SG, Nakada SY, Lee FT, Warner TF. Monitoring renal cryosurgery: predictors of tissue necrosis in swine. J Urol 1998; 159:1370-1374. Nakada SY, Lee FT, Warner T, Chosy SG, Moon TD. Laparoscopic cryosurgery of the kidney in the porcine model: an acute histological study. Urology 1998; 51:161-166. Delworth MG, Pisters LL, Fornage BD, von Eisenbach AC. Cryotherapy for renal cell carcinoma and angiomyolipoma. J Urol 1996; 155:252-254. Rukstalis DB, Khorsandi M, Garcia FU. Clinical experience with open renal cryoablation. Urology 2001; 57:34-39. 10. Gill IS, Novick AC, Soble JJ. 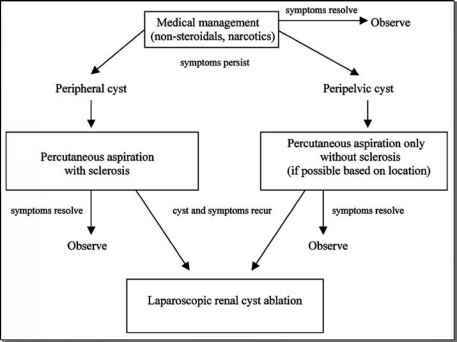 Laparoscopic renal cryoablation: initial clinical series. Urology 1998; 52:543-551. 11. Lowry PS, Nakada SY. Renal cryotherapy: 2003 Clinical status. Curr Opin Urol 2003; 13:193-197. 12. Shingleton WB, Sewell PE. Percutaneous renal tumor cryoablation with magnetic resonance imaging guidance. J Urol 2001; 165:773-776. 13. Shinohara S, Carroll PR. 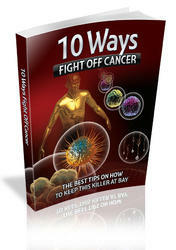 Cryotherapy for prostate cancer. In: Walsh PC, Retik AB, Vaughn ED, Wein AJ, eds. Campbell's Urology. 8th ed. Philadelphia: WB Saunders Co., 2002:3171-3181 (Vol. 4, Chapter 93). 14. Hoffmann NE, Bischof JC. The cryobiology of cryosurgical injury. Urology 2002; 60:40-49. 15. Hedican SP, Wilkinson ER, Lee FT, Warner TF, Nakada SY. Cryoablation of advanced renal cancer has survival advantages in a murine model compared to nephrectomy. J Urol 2004; 171 (4 suppl):Abstract No. 778. 16. Bishoff JT, Chen RB, Lee BR, et al. Laparoscopic renal cryoablation: acute and long-term clinical, radiographic, and pathologic effects in an animal model and application in a clinical trial. J Endourol 1999; 13(4):233-239. 17. Rodriguez R, Chan DY, Bishoff JT, et al. Renal ablative cryosurgery in selected patients with peripheral renal masses. Urology 2000; 55(1):25-30. 18. Gill IS, Novick AC, Meraney AM, et al. Laparoscopic renal cryoablation in 32 patients. Urology 2000; 56(5):748-753. 19. Lee DI, McGinnis DE, Feld R, Strup SE. Retroperitoneal laparoscopic cryoablation of small renal tumors: intermediate results. Urology 2003; 61(1):83-88. 20. Colon I, Fuchs GJ. Early experience with laparoscopic cryoablation in patients with small renal tumors and severe co-morbidities. J Endourol 2003; 17(6):415-423. 21. Nadler RB, Kim SC, Rubenstein JN, Yap RL, Campbell SC, User HM. Laparoscopic renal cryosurgery: the Northwestern experience. J Urol 2003; 170(4 Pt 1):1121-1125. 22. Moon TD, Lee FT, Hedican SP, Lowry PS, Nakada SY. Laparoscopic cryoablation under sono-graphic guidance for the treatment of small renal tumors. J. Endourol. In press. 23. Spaliviero M, Moinzadeh A, Gill IS. Laparoscopic cryotherapy for renal tumors. Technol Cancer Res Treat 2004; 3(2):177-180. 24. Sung GT, Gill IS, Hsu TH, et al. Effect of intentional cryo-injury to the renal collecting system. J Urol 2003; 170(2 Pt 1):619-622. 25. Ankem MK, Moon TD, Hedican SP, Lee FT, Sadowski EA, Nakada SY. Is peripheral rim enhancement a sign of a recurrence of renal cell carcinoma post cryoablation. J Urol 2004; 171(4 suppl): Abstract no. 1914. 26. Shingleton WB, Duncan W, Sewell PE. Percutaneous renal tumor cryoablation-results in the first 90 patients. J Urol 2004; 171(4 suppl):Abstract no. 1751. 27. Harada J, Dohi M, Mogami T. Initial experience of percutaneous renal cryosurgery under the guidance of horizontal open Magnetic resonance imaging system. Radiat Med 2001; 19:291-296. 28. Campbell SC, Krishnamurthi V, Chow G. Renal cryosurgery: experimental evaluation of treatment parameters. Urology 1998; 52:29-33.